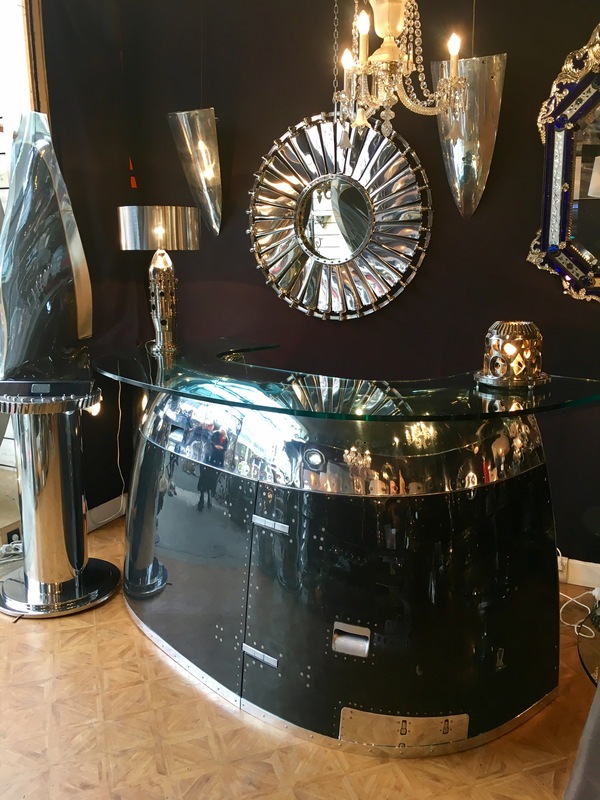 Aviation Furniture, mobilier aviation, aircraft. Mirror Strator ring in titanium from Rolls Royce Pegasus 105 Turbine. Pegasus Engine is a Turbofan Turboreactor initially developed by Bristol Siddeley and made by Rolls Royce.